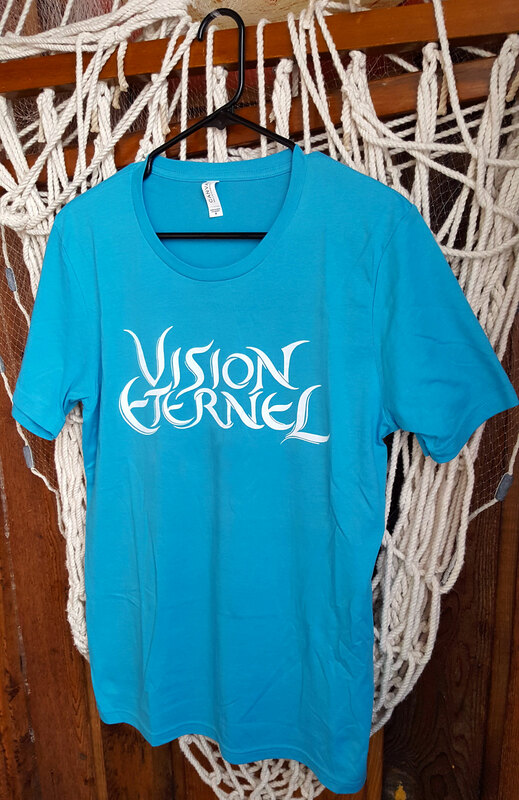 This fabulous Vision Éternel short sleeve unisex t-shirt features the 10-year anniversary band logo designed by the world-renowned graphic designer Christophe Szpajdel. 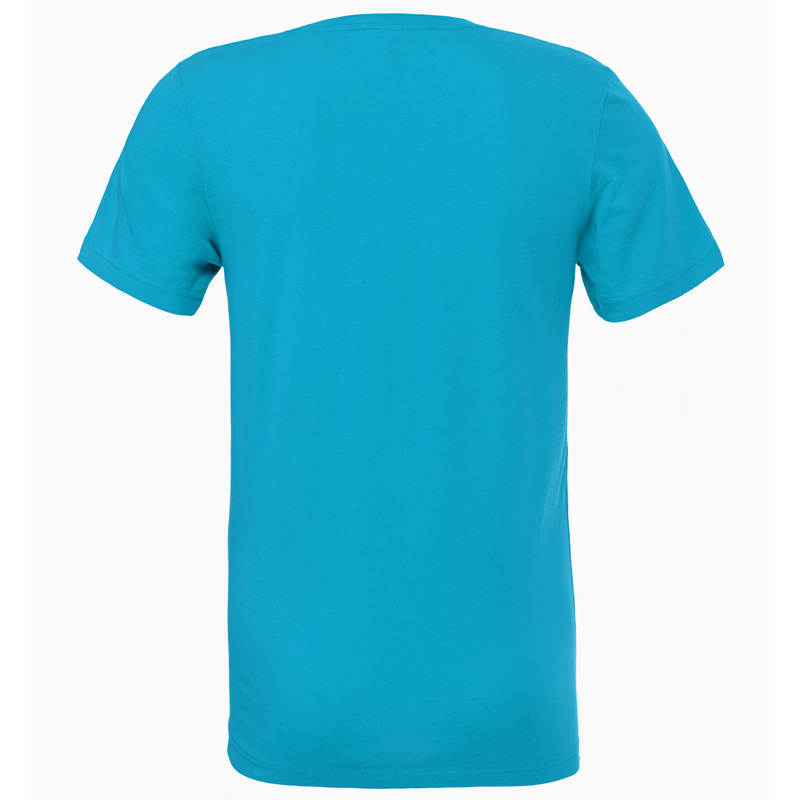 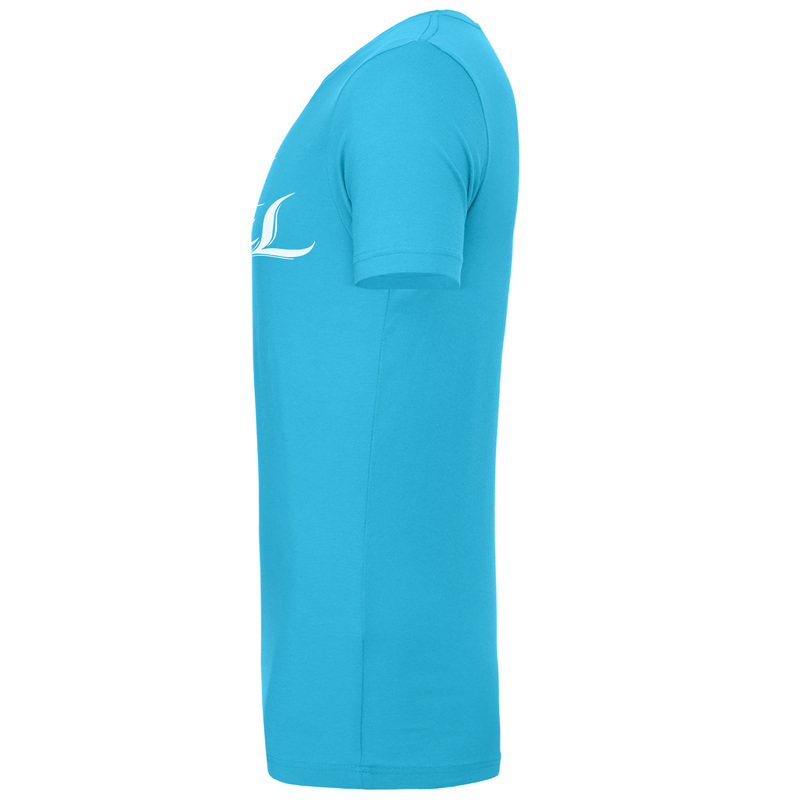 The shirt’s colour is solid aqua blue and the text is printed using high-quality direct to garment printing (DTG) in solid white ink. 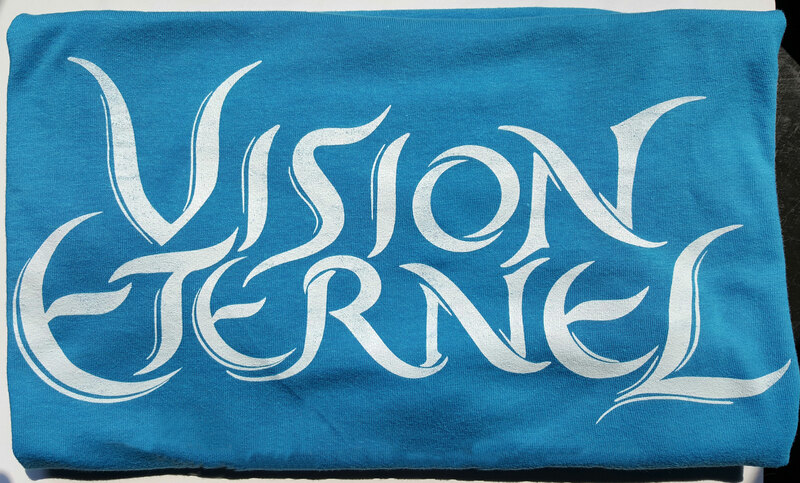 This colour-palette reflects Vision Éternel’s upcoming boxed set “An Anthology Of Past Misfortunes”, yet still honours the roots in black metal with the logo. 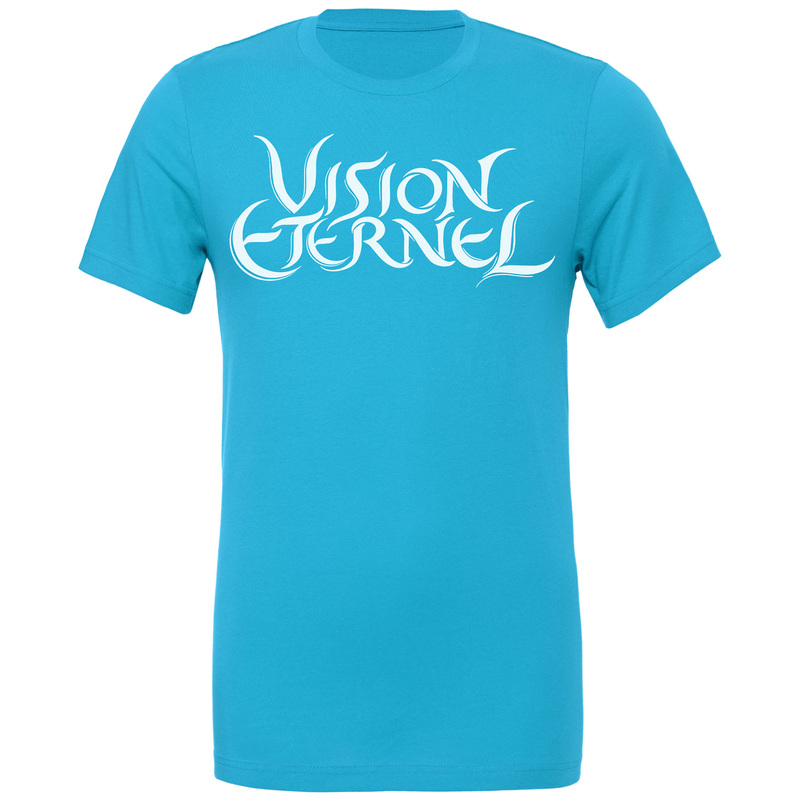 Vision Éternel started as a side-project while Alexandre Julien played in the black metal bands Throne Of Mortality and Vision Lunar.